Views from the loch. : Canoeists! Photo 01 - Member Barry Leslie with a corker caught yesterday! We recently met the sailing club over an incident involving a high powered craft and then numerous small boats crossing my baits effectively ending my days fishing somewhat prematurely. The salient point however was that we were able to move forward with both sides content after an adult discussion between our two clubs. This is not possible with canoeists however, they appear randomly anywhere on the loch and do not pay for the privilege, something both the sailors and anglers do! Now I have said this often but the loch is big enough to accommodate all users its just a question of where do the respective groups carry out their activities. As anglers the loch margins are obviously the most important to us, the very deep water in the middle holds little for us. Therein lies the problem because canoeists now seem to want to claim this space! I've lost count of the number of times a canoeist has crossed my lines (and many other anglers) on two occasions pulling the line from my reels rendering it useless and costing me tens of pounds and lots of time to replace the damaged line! Anglers cannot move from the loch margins if we are to have any chance of sport and since we pay for this privilege I don’t see why we should! Should it not be incumbent on all who wish to canoe on the loch to get in touch with us to find out the best way to practice their sport without ruining the sport of others! The problem here is that there is no focal contact point, local club or association where we can direct our concerns, they all appear to be individuals. People who stop randomly unload the canoe and start paddling! We do not have any kind of problem with canoeists when they practice their hobby in an adult and responsible fashion! Today Les had his fishing ruined by a polite but unaware family of three! What we would suggest to canoeists is to keep a minimum of 100 metres out from the shore and by doing that it would be unlikely to incur the wrath of the angler who has had his sport ruined! If canoeists were to do this there would once again be harmony on the loch which is the way it should be! 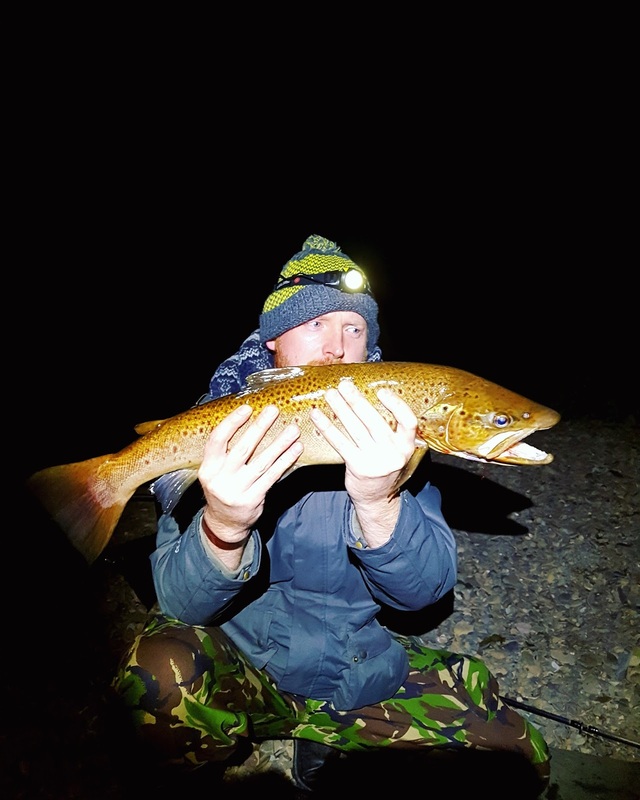 With free access to the loch comes responsibility and in that responsibility to other loch users must be the priority that whilst practising their sport they do not impinge on the sport of others! Speaking with Davy Forsyth yesterday I was none too surprised when he showed me a photo of a fifteen pound Pike he caught last week after speaking with me. Well along with mate Rab they said that they were going to remove the moss from the roof without anyone having asked them to do so. Now that should have surprised me, but it did not! Both the lads are aware that we have certain obligations as part of our lease. The largest part of that obligation is that we must maintain the property in good order! Now most people know that the moss is capable of adsorbing large amounts of water placing an unacceptable amount of weight on the asbestos sheeting! Of course the asbestos (white) means that extra precautions have to be employed in that our actions must not raise dust so the surface should be damp. It is also easier to remove when damp and we have a custom rake that clears 5 ridges and troughs in one pull. We have in the past hung copper wire at the top of the roof whereby copper sulphate is formed and washed on to the roof and is supposed to kill and inhibit moss growth. For whatever reason this method did not work so this time we will spray the roof once it has been cleared with peroxide bleach to kill and inhibit future growth. This chemical breaks down on contact with organic matter into harmless compounds. Yes, just another two members who are aware of the clubs responsibilities and most importantly are willing to step in and take a proactive stance! Thanks lads! The date of the moss removal project will be published next week and any member wishing to help out will be more than welcome!